Elite Construction are the consummate professional. There work is outstanding and prices are reasonable. The sunroom and decking he put on our house has transformed it and we are thrilled with what was accomplished. We recommend them to all in the strongest possible terms. With our 10 year free service guarantee, ELITE customers can shop confidently. The peace of mind offered by our guarantees and warranties aims to simplify your roofing project. 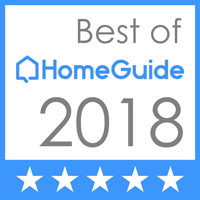 We just wanted to thank you again for the impressive, professional work that was done by All Seasons Sunrooms The first time we met you we found you to be very professional, and you listened carefully to all of our needs. Family owned and operated, we perform all levels of building and remodeling. We offer start-to-finish solutions for every project. We also offer full design services. We specialize in Roofing, Sunrooms, and Windows.